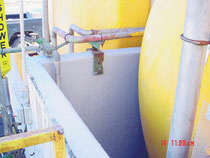 Secondary Containment and Specialty Coatings - Premier Corrosion Protection Services, Inc.
98% Sulfuric Acid Secondary Containment - Repair concrete and install a 98% sulfuric acid secondary containment barrier. 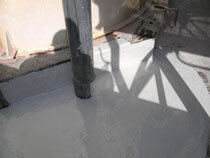 Concrete Swale - Repair and coat a concrete swale using FRP composite materials and completing the repair with a wax coat finish. 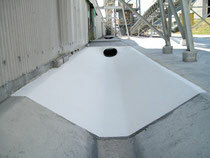 Gun Powder Manufacturing Facility - Repair concrete and install a 98% sulfuric acid secondary containment barrier. 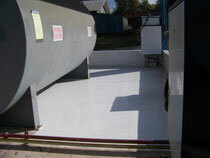 Municipal Fuel Storage Area - Skid resistant FRP composite lining along floor and walls (including new cove base) at a municipal fuel storage area for gasoline and diesel fuel. 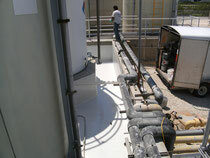 Desalinization Plant - Concrete repairs and installation of a 98% sulfuric acid secondary containment barrier. 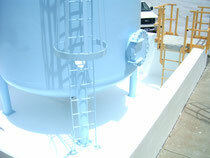 98% Sulfuric Acid - Concrete repairs and the installation of a 98% sulfuric acid secondary containment barrier. 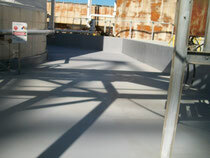 Fluoride Tank - Concrete repairs and the installation of a roller applied rubber coating as secondary containment for a Flouride tank.